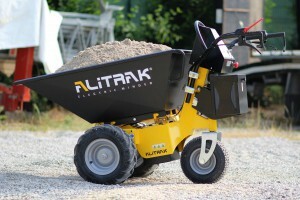 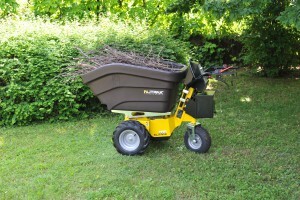 The DT-500 is a battery-powerde electric 3 wheel dumper, designed to work with loads up to 500 Kg. 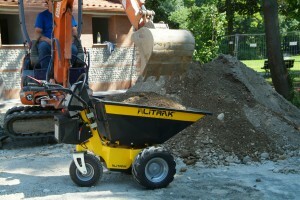 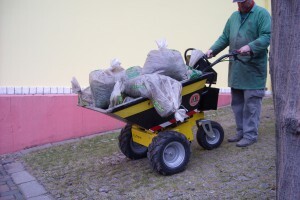 The DT-500 is an environmentally friendly electric powered 3 wheel dumper designed to work with loads up to 500 Kg. 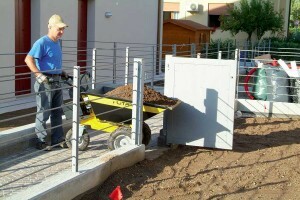 The heavy duty frame is made from steel and is built for industrial renovation work. 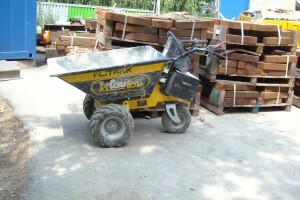 The balance between the load and the wheels provides stability and safety. 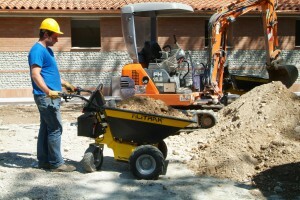 The double handle with power controls makes the DT-500 very maneuverable even when fully loaded. 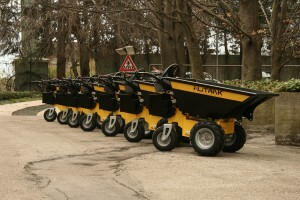 The motor has an electromagnetic brake that automatically engages when the power is turned off providing a braking capacity on slopes up to 30% when the barrow is fully loaded. 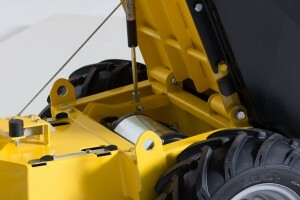 The gear train is in a sealed oil bath to eliminating maintenance and increase reliability. 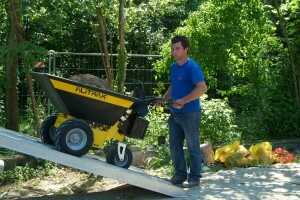 The tilting platform system of the DT-500 allows accessories to be changed quickly and easily. 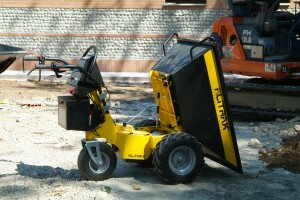 The 2 x 85 Ah maintenance free AGM batteries provide up to 8 hours of autonomy. 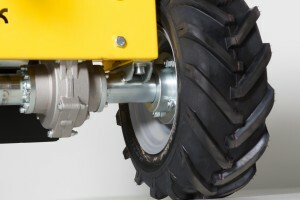 The DT-500 is available in “Performance” version with reinforced transmission bridge, anti-puncture tires, run time hour counter, reinforced handlebar and reinforced pivot wheel axle.